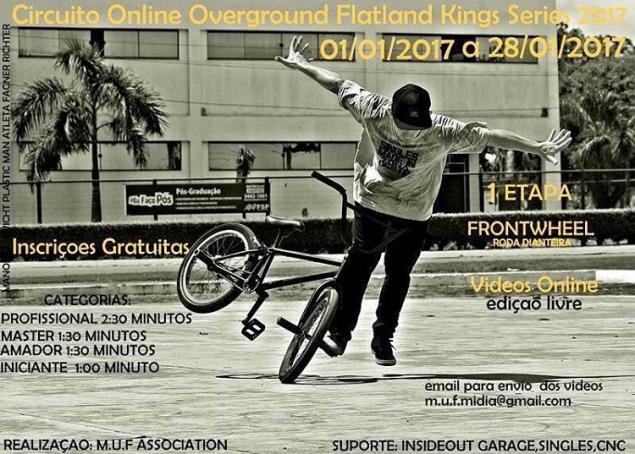 The Brazilian Overground Contest series has an online series this year. There will be 3 rounds and 4 classes (beginner, amateur, master, pro). Round 1 is dedicated to frontwheel tricks, round 2 to backwheel and for round 3 you can do front and back wheel tricks. It's an interesting approach and should make the first 2 rounds a little easier to judge. The length of the entries depend on the class that you enter. You can submit your videos for the first round until January 28. M.U.F. is organizing the series. You can find more details on their Instagram page.